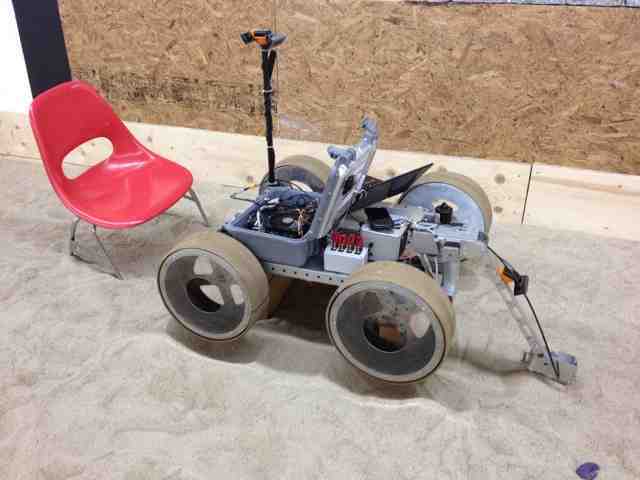 We've had some help bringing the rover to completion. 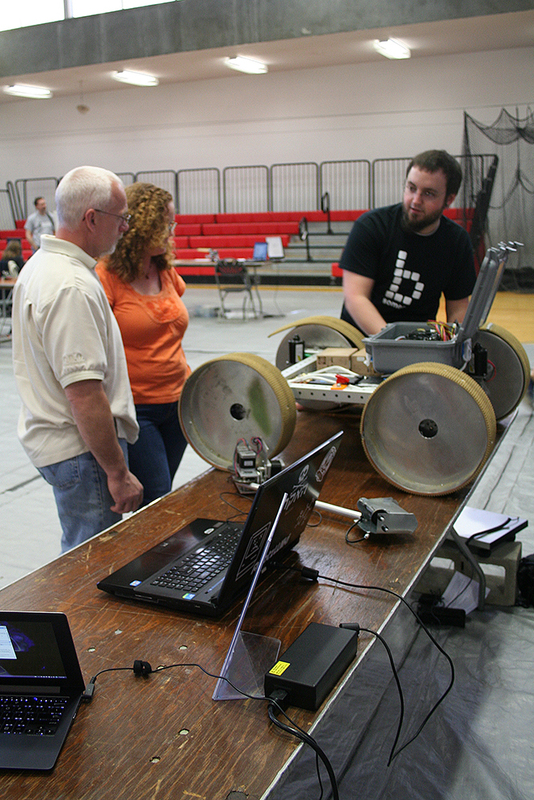 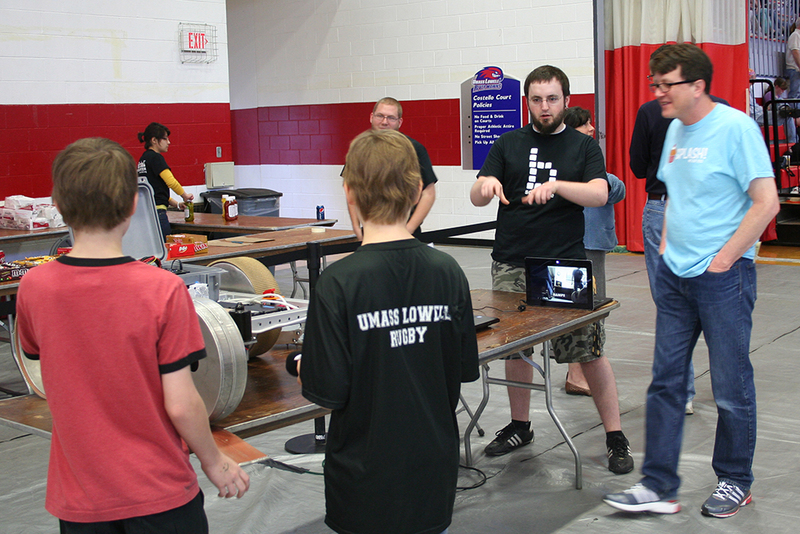 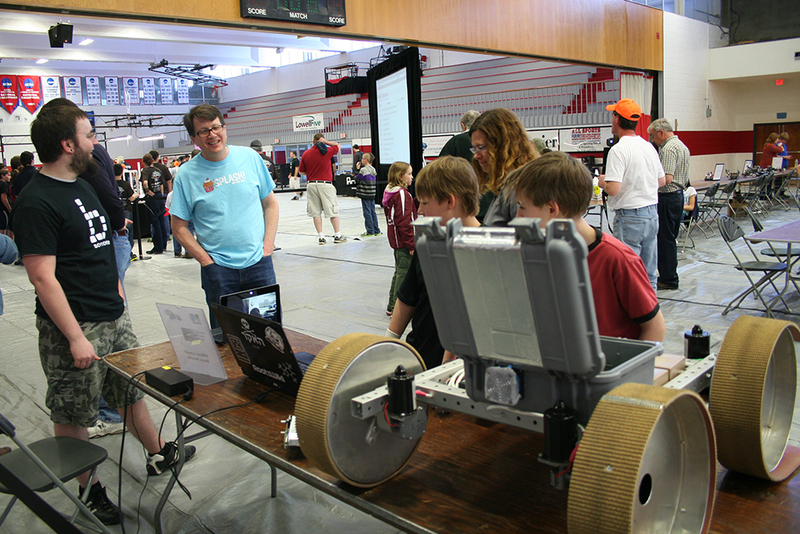 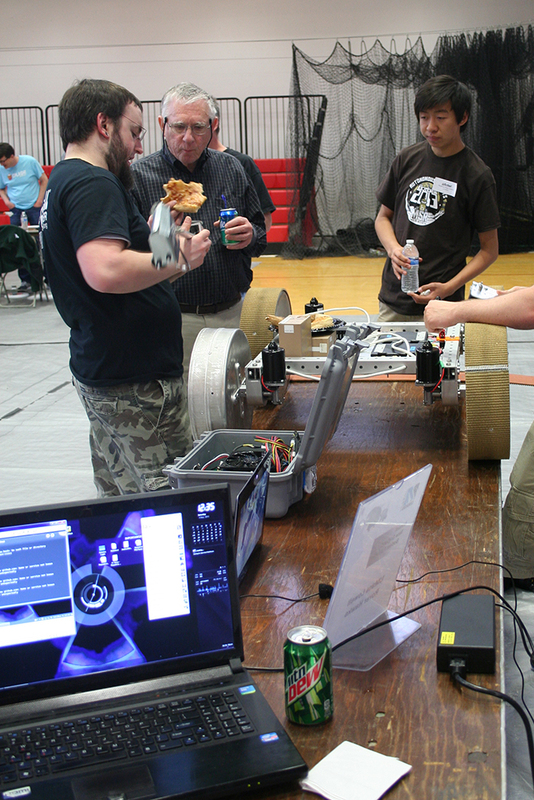 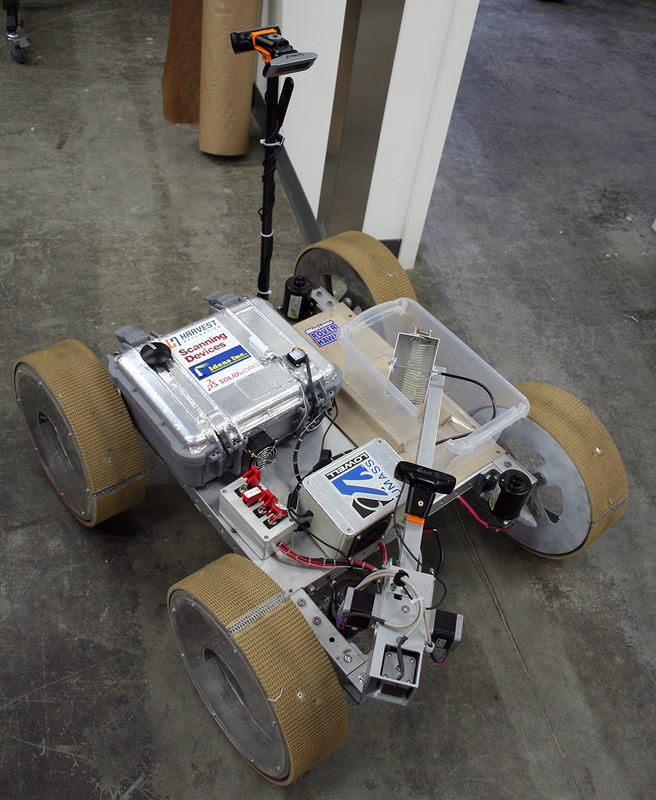 Below you can see the Rover Hawk stickered with logos on its computer case from Harvest Automation, Scanning Devices, Ideas Inc., and SolidWorks. Thank you all! 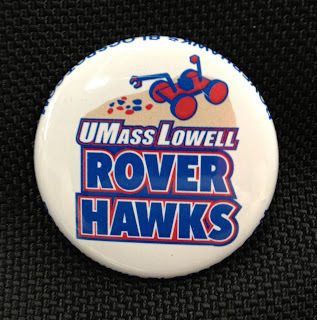 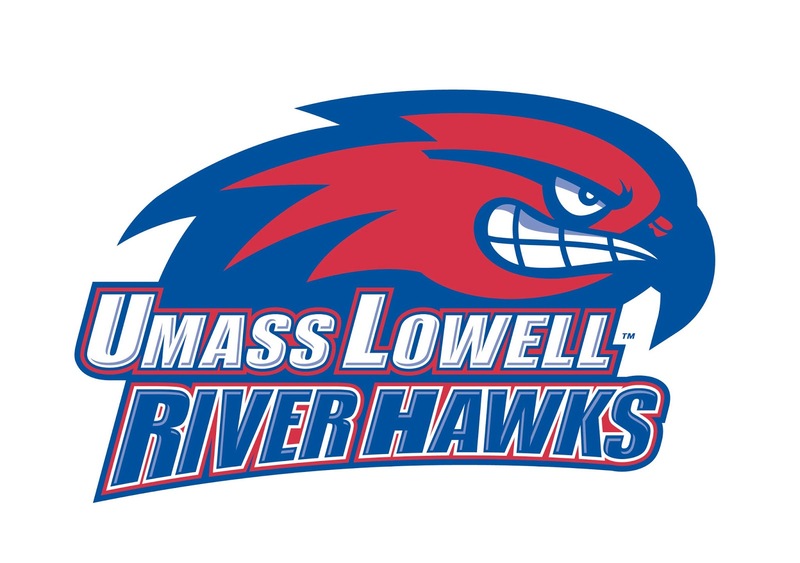 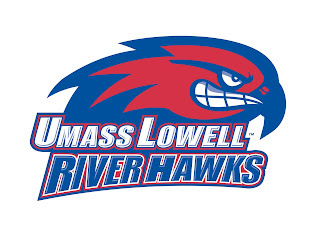 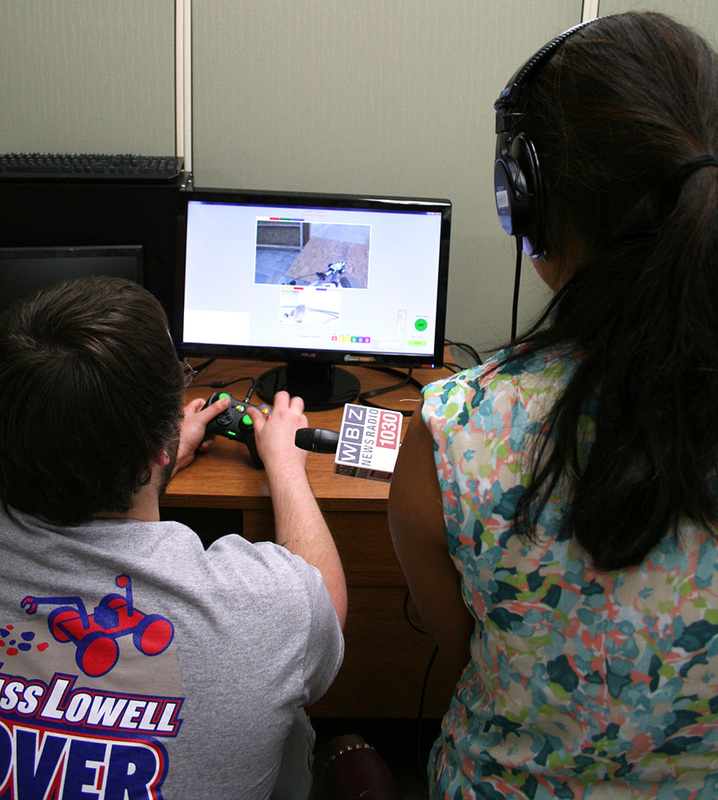 Edwin Aguirre of UMass Lowell's Office of Public Affairs has written a story about our team's participation in the competition. 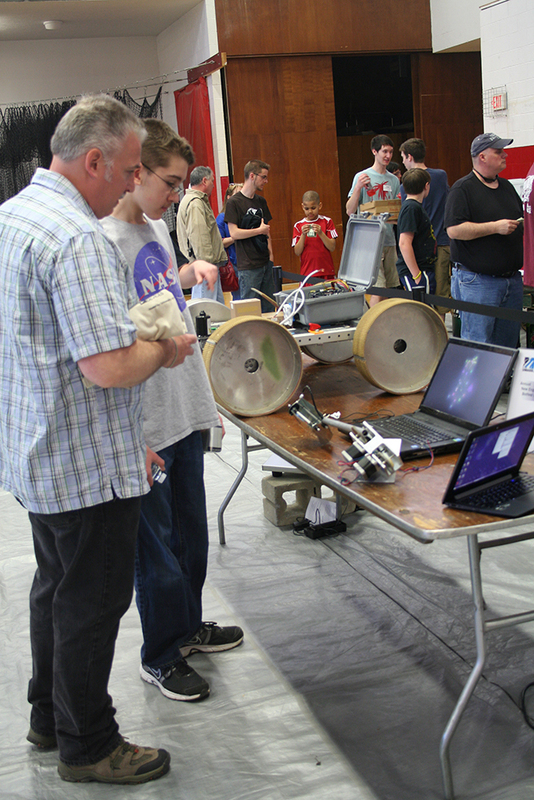 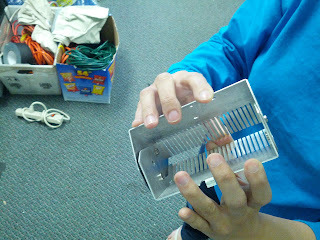 We'll be bringing a bag with us to JSC to share. 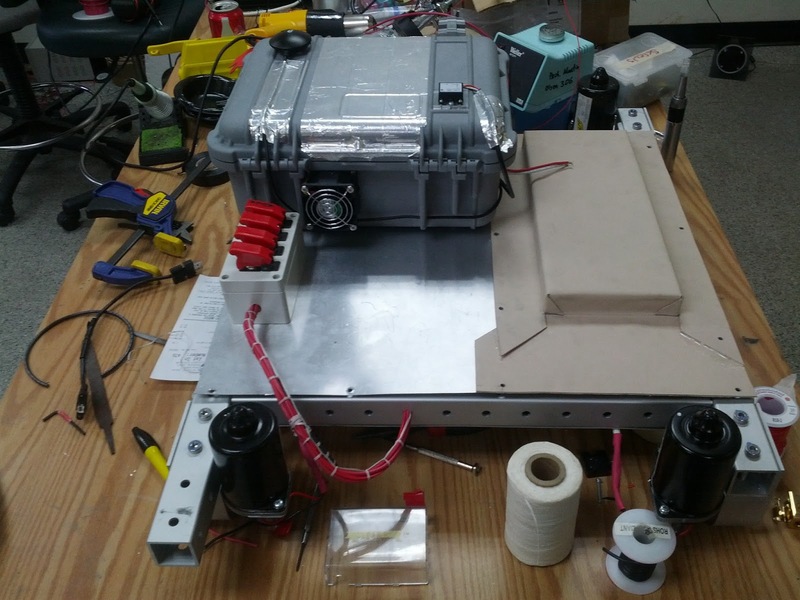 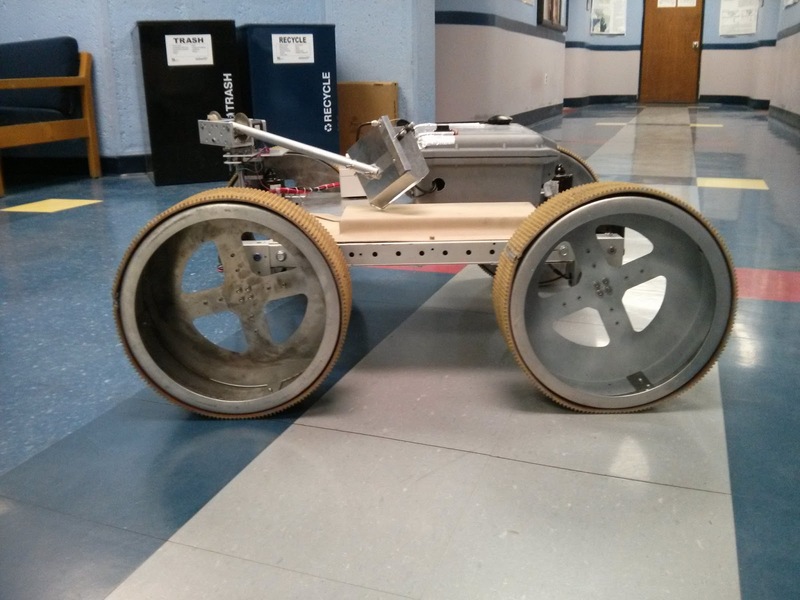 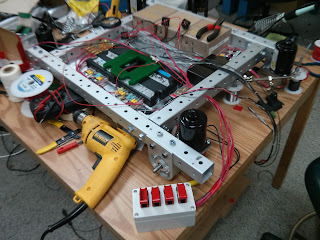 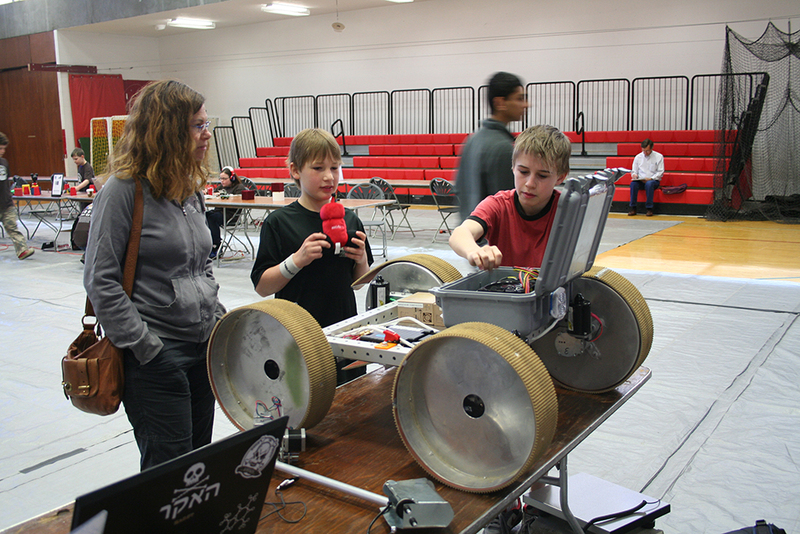 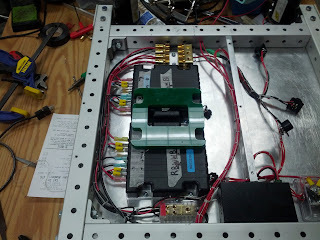 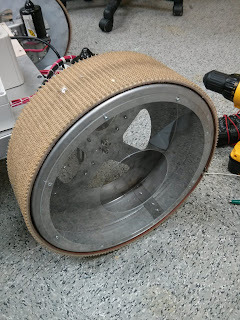 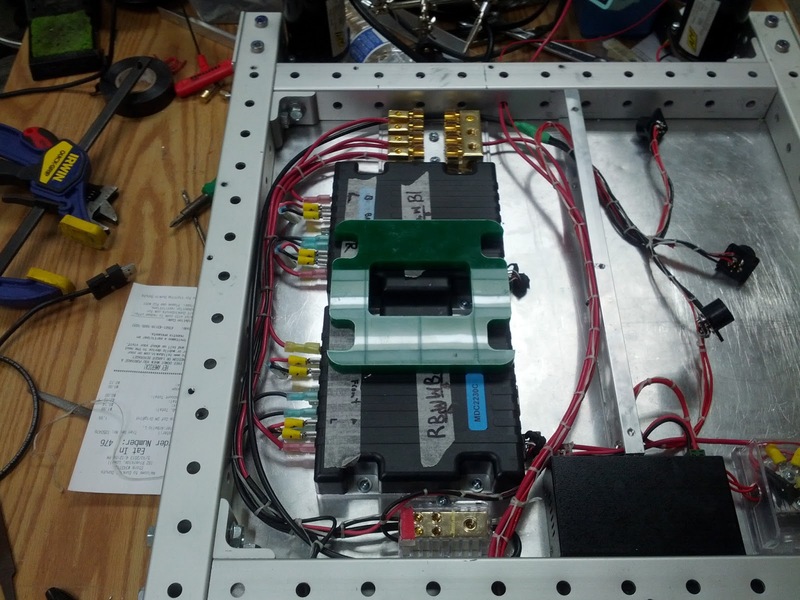 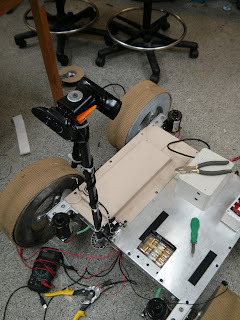 As we're gearing up for the competition, we wanted to share some photos of the assembly of our final rover. Our team t-shirts have arrived. 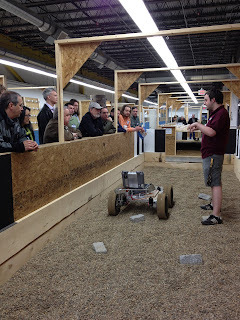 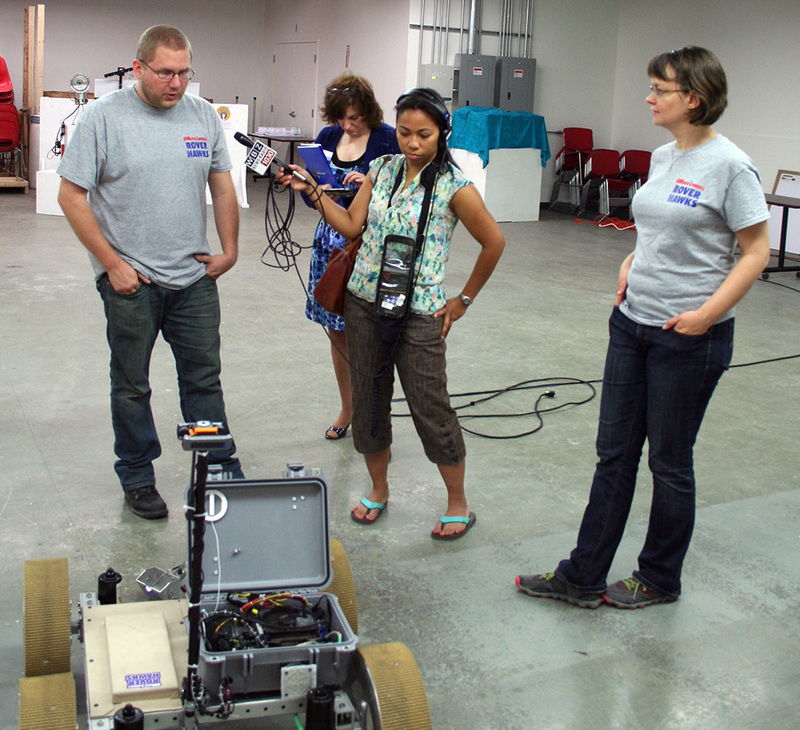 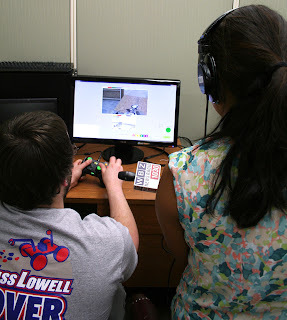 Below are some of our team members modeling them with the Rover Hawk in the gravel pit at NERVE. 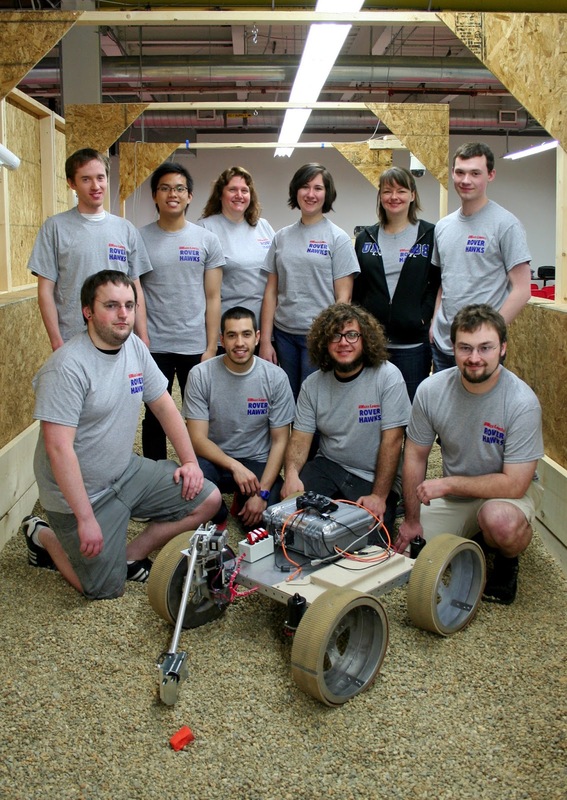 Back row: Greg Johnson, Josh Estrada, Holly Yanco, Brianna Gainley, Brigit Schroeder, and Adam DeFelice. 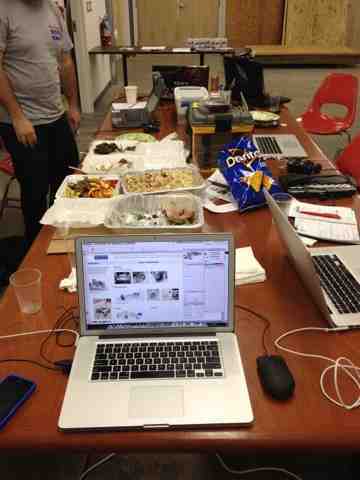 Front row: Eric McCann, Alejandro Salido, Carlos Ibarra, and Nat Tuck.